Janez Podlesek was born in Ljubljana, Slovenia in 1981. 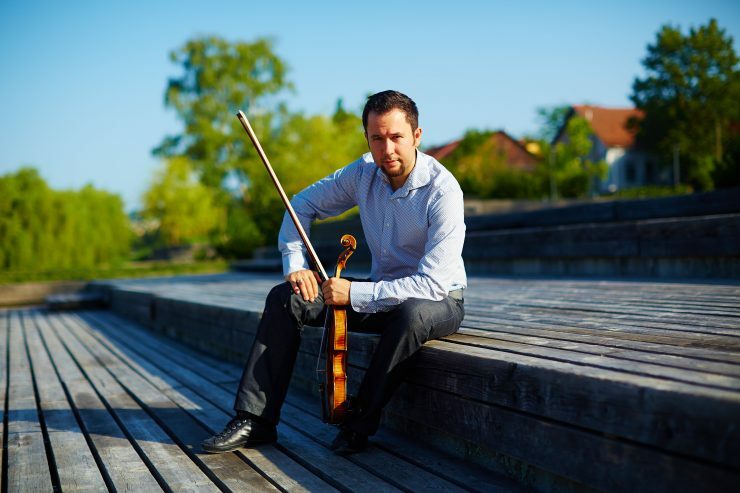 He began studying violin aged seven years with Professor Hervin Jakončič at the Music school in Domžale. He continued his studies at the Music and ballet secondary school in Ljubljana under Professor Dušanka Stražar. In 1999 he was awarded with the Škerjanec prize. Janez Podlesek studied violin at the Academy of Music in Ljubljana, under Professor Primož Novšak, who was also his mentor during Janez’s postgraduate studies. Janez perfected his playing with Leonid Sorokov, Helfried Fister, Ilan Gronich and Tomaž Lorenz. He won numerous awards at music competitions in Ljubljana, Zagreb and Gorizia. Janez Podlesek was awarded the Student Prešeren prize of the Academy of Music twice during his studies. He’s an active member of the Clavimerata Trio, with which he recorded three records. He regularly cooperates with renowned Slovene and foreign musicians, like Arvid Engegård, wind quintet Slowind, Mirjam Kalin. Since September 2004 Janez Podlesek has been the concert master of the Symphony Orchestra of the Slovene Philharmonics and of the String Chamber Orchestra of the Slovene Philharmonics. As member of the String Chamber Orchestra he was awarded the Betteto award in 2006.